Joshua trees are spiny, tree-like plants that are native to the Mojave Desert. Although they look somewhat like palm trees, they are actually Yuccas, members of the asparagus family and close relatives of Agave, the plant used to make tequila. Their strange and twisted limbs are the iconic image of the Western American landscape, celebrated in the folklore and popular culture of the region. The trees’ peculiar appearance makes an impression on anyone that sees them. The early American explorer, John C Fremont, who first mapped the Oregon Trail, described Joshua trees as “The most repulsive tree in the Vegetable Kingdom.” More recent visitors to the Mojave have had more positive reactions. According to legend, early Mormon settlers saw the silhouette of the Prophet Joshua in the trees’ outstretched branches. The first scientist to formally describe the Joshua tree, William Trelease, considered Joshua trees to be “the most attractive of all the Yuccas,” but the twentieth century botanist Susan McKelvey described the tree’s fleshy, greenish-white flowers as “curious rather than beautiful”, adding, “One would not be surprised to see a huge prehistoric monster standing by and feeding upon the fruit.” Indeed, the trees’ otherworldly appearance has gotten them “cast” as the inhabitants of alien worlds, providing backdrops to science fiction films and TV shows from Star Trek to Joss Whedon’s Firefly. It is also claimed that the Joshua tree was the inspiration for the Truffula Trees in Dr. Seuss’s The Lorax — and of course the Irish rock band U2, inspired by the romance of the American West, named their hit 1987 album The Joshua Tree. These legendary desert residents are under threat, however. Warming climates, and increasing drought are predicted to make much of the Mojave desert unsuitable for Joshua trees, even as rapidly growing cities in southern California and Nevada devour the trees’ habitat. 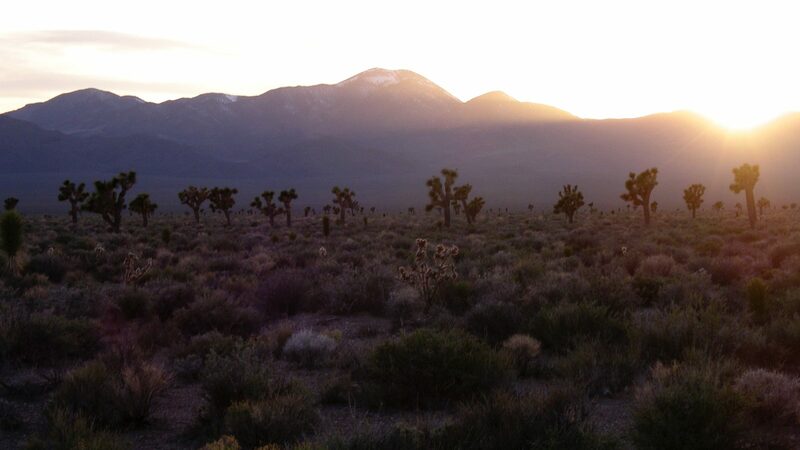 Ensuring that Joshua trees continue to inspire future generations means conserving regions where Joshua trees can survive global climate changes, and finding ways to help them adapt to a warming world. Harnessing the power of genomic technology may be the key.